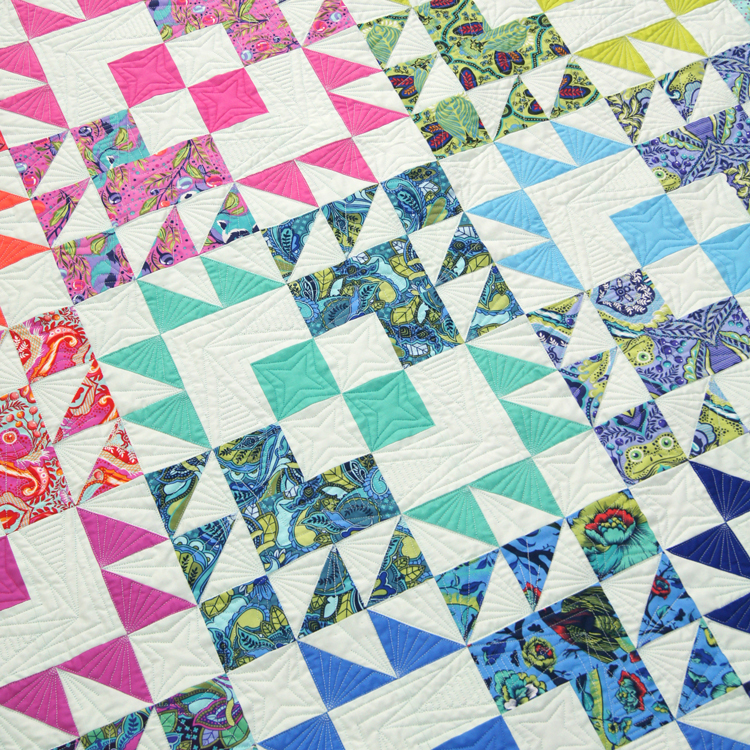 Electric Pop is all about making your chosen colours the stars of this Quilt. 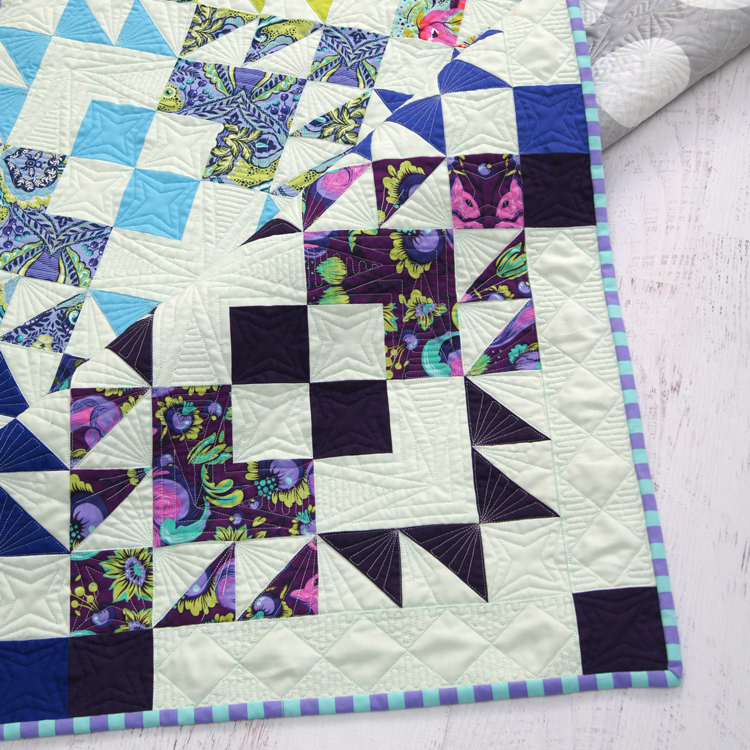 Using Solids and matching them with your favourite Prints will make this Quilt stand out. You can use an Ombre style effect to make your fabrics run from lightest to darkest, make it scrappy or even use up those Bundles you have waiting for the perfect quilt for. There are clear set out instructions with photos and illustrations to help you with your machine piecing of this Quilt. 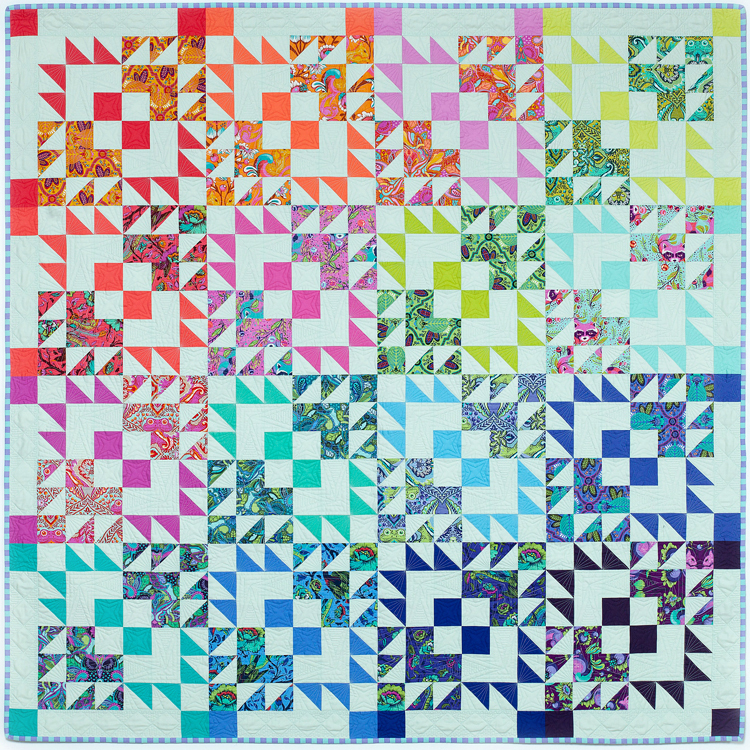 The pattern includes 3 sizes – a Baby Quilt, Lap Quilt and a Queen size Quilt.